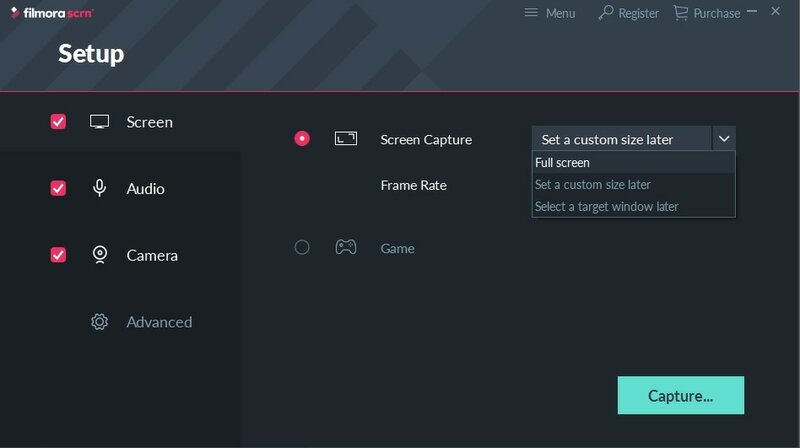 Fraps is a very decent jack-of-all-trades which lets you view your frame rate in any video game and also record videos. The paid version is especially good in this regard as it allows you to record as much gameplay as you want without watermarks or anything of the sort. However, one thing you will quickly realize after recording videos (especially in Full HD) with Fraps is that they are incredibly big. A few minutes of recording will equal multiple GBs of video, which can be annoying when trying to upload them or save them to the disk. Here, we will take a look at how you can compress Fraps files and what other options you have. Fraps can only save videos in the AVI format which is quite outdated now and is not supported by major services like YouTube. Changing your videos to another format will also compress them. What that means is that by changing your AVI Fraps files to a format like MP4, you will not only save space but you will also be able to upload them in a lot more websites. There are plenty of formats to choose from but H.264 and H.265 (HEVC) are both very common. The latter is newer and generally better but it is not yet supported by every application, unlike its predecessor. To convert video files, all you need is an application suited to this purpose. You can try Video Converter Studio or Handbrake. Both apps are free and have a host of features and an easy-to-use interface which will be more than enough for simple conversions. Since Fraps is primarily used as a tool to measure frame rates, its recording functions are, frankly, quite lacking. Instead of paying for a software that doesn’t even have a lot of recording options, you may wish to consider using Filmora scrn instead. The software is incredibly easy to set up and use and features a lot more options than Fraps. For instance, it allows you to capture both gameplay and video from your webcam at the same time. In addition to that, the software has a built-in video editor which has been specifically designed to suit video gamers. The editor will let you add all kinds of different effects including annotations and custom cursors. As mentioned before, the program is very easy to use and has a straightforward interface. 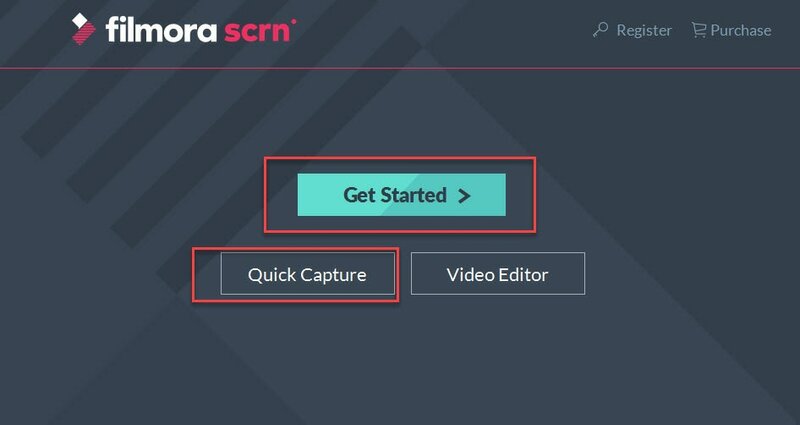 After launching Filmora scrn, you will have three options: Quick Capture, Video Editor, or Get Started. The first two options will take you directly to the respective features whereas the Get Started option will let you set up some additional options. More specifically, you will be able to choose your target frame rate, audio input, and the webcam. Everything is configurable so you have a lot of options to play with. For example, you may want to simply record your screen and your microphone to give some commentary. After you set those things up, you just click on the Capture button and you can start recording. 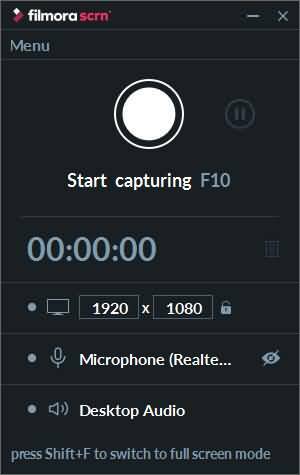 The process is incredibly easy and you can stop or pause the recording either by clicking on the Filmora scrn pop-up or by using one of the hotkeys. After recording the video and editing it accordingly in the video editor module, you can now export your recorded video by clicking Export button. Filmora Scrn allows you export the video to MP4, MP3, MOV even GIF formats. 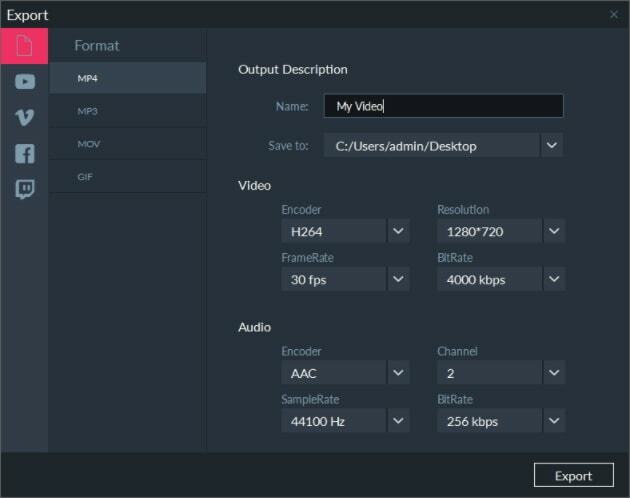 You can also set up the resolution, bit rate and even encoders.